Simply put, fold equity is how likely it is, should you continue with a bet that you will cause your opponent to fold. It is an extremely useful concept to understand when it comes to poker tactics because it can help you win games where you did not have the best hand. Knowing that you have a good poker fold equity can give you the courage that you need sometimes just to keep going even when you suspect your cards might let you down should the other player decides to keep going too. This article takes a look at fold equity, how it is calculated and how you can use it to your advantage in a game. In order to work out what your fold equity is you need to understand what the probability that your opponent will fold is. Now, this is going to take some observation, but it will be worth the effort once you understand how they play a bit more. The first thing you should monitor is simply how often they have folded in a set number of rounds. For instance, say you have played 10 rounds and they have folded 5 times, the probability they will fold is 50%. To improve accuracy, however, you should also look at what has caused them to fold in these previous hands. Do they for instance, not like playing blinds or do large raises put them off? Evaluating how they play in this way, can help you more accurately calculate whether the implied odds are in your favour. Many poker players like to express fold equity as the cash amount they would stand to win if they cause their opponent to fold, the formula to work this out is likelihood that opponent will fold x amount you stand to win if they do fold. It is not just fold equity that you need to take into consideration, however, you need to use this to calculate your total equity to work out of a bet is worth pushing on with. Ok, so let’s imagine you are playing online casino poker, everyone else has folded, it is just you and one other player left. Obviously, you don’t know what cards they have but you hold a pair of 2s, which gives you preflop odds of around 50%. You can add this preflop odd to the fold equity odd, let’s say it’s 30% in this case, this would give you a total equity of 80%, which is pretty good implied odds. 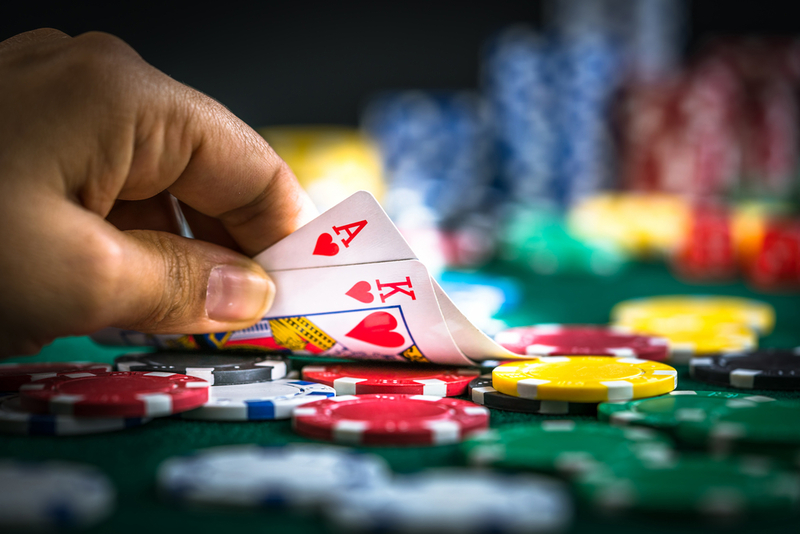 When do I need to consider poker fold equity? Sometimes when playing online casino poker we might be playing with a hand that is just no good. When it comes to poker tactics, these are the times when you need to think about if it is worth trying to bluff your way through, and therefore, these are the best times to use the fold equity formula. You need to decide if it is likely that your bluff will be profitable. If you apply the fold equity formula and decide that your fold equity is over 50% you have good implied odds and it might be worth taking a chance. If you find that the odds are under 50% it is probably worth folding rather than risk losing more money. Can I increase my poker fold equity? Good poker players are always on the lookout for ways to increase their fold equity as part of their poker tactics. Professional players will often bet or raise cards they suspect will not win just so that they can watch how their opponents react. This is the only way they can figure out just how much equity they have. You also need to have a really tight image with the other players. They need to believe that for every hand you play, you believe it is a winning hand. This feeling can be unsettling for them and can drastically increase the chances that they will fold. You will need nerves of steel but playing in this way might mean that you can make a healthy profit even when the cards are not in your favour, just keep working on that poker face.